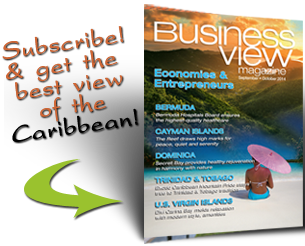 Caribbean Flavours & Fragrances Ltd.
Business View Caribbean profiles Caribbean Flavours & Fragrances Ltd. , a company that manufactures and supplies fragrances. Caribbean Flavours & Fragrances Ltd. (CFF) opened for business in Jamaica on Monday October 1, 2001. The company was previously owned and operated by Bush Boake Allen (Jamaica) Ltd., which was part of a multinational company operating in over forty countries in the world. CFF is engaged in the manufacture and distribution of quality flavorings and water-soluble colorings for the food, beverage, baking, confectionary, and pharmaceutical industries. The company also manufactures and supplies fragrances, which are used in the production of household cleaning, body care, aroma therapy, and air freshener products. CFF creates 26 different flavors made from its own formulas and ingredients that include essential oil, oleoresins, distillates, extracts, aroma chemicals, and reaction products. It manufactures 13 fragrances for softeners; another 13 for bath/body/shampoo products; 14 for all-purpose cleaners; and six more for liquid soaps and detergents. The company sources its raw materials primarily from International Flavours and Fragrances in Mexico, and also from other parts of the world including the United States, the United Kingdom, and Holland. Over the last 13 years, CFF has experienced robust growth, increasing its product offerings and widening its customer base, both regionally and internationally. Today, it is one of the largest businesses of its kind in the Caribbean. The company has customers in Jamaica, Barbados, St. Kitts, Trinidad and Tobago, Guyana, Grenada, and Canada. It lists among its clients: J Wray & Nephew, Grace Canning, Pepsi-Cola Jamaica Bottling, Wisynco, Banks Barbados, Trinidad Distillers, St. Kitts Distillers, and DDL Guyana, for whom it supplies the raw material to produce carbonated, non-alcoholic and alcoholic beverages; baked goods; and soaps and other household cleaners. This past February, CFF entered the Caribbean’s largest market – the Dominican Republic – where it now supplies manufacturers with its products. In 2013, CFF went public and was listed on the junior market of the Jamaica Stock Exchange. In 2014, the Derrimon Trading Company acquired a 49 percent stake in the company. Derrick Cotterell, the chairman and CEO of Derrimon, became a director of CFF, joining Managing Director, Anand James. In December 2015, revenue for the company was $192.4 million, up 34 percent compared to $143.5 million for the similar period in 2014. The company saw its net profit move from $47.39 million to $57.71 million year over year. In 2015, both Derrimon and CFF were recognized by Businesssuite Magazine as one of the Caribbean’s Top 100 companies – U.S. $ profit after taxes. 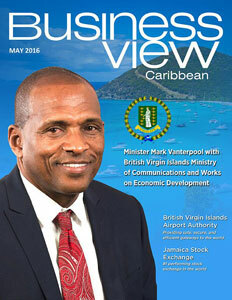 Check out this handpicked feature on The Caribbean Cement Company. WHO: Caribbean Flavours & Fragrances Ltd.